>> Plan a Trip to France on a Budget- Cost Cutting Tips! France is easily one of the most beautiful countries you can visit in the world. There are so many tourist attractions here including the iconic Eiffel Tower, French Riviera which is famous for the glamour of Monaco, St. Tropez, or the Cannes Film Festival, Marseille where you can find some of the best cruises for some quality time with friends and family. There are a few basic rules to decide when’s the best time to buy cheap plane tickets. However, if you want the gist of it, it’s that you must book months ahead of your trip. This is because the sooner you book, the better options you can get. You can save a lot of money by looking into package deals. Some travel companies offer huge discounts from time to time. There are a lot of beautiful places to visit and explore in France which cost nothing! For instance, you can watch all kinds of free illuminations in various towns during summers and the Christmas season. You can also enjoy visiting some of the top cathedrals in France which are mostly free but still offer lots of fun. If you are in a big city, then you can consider buying a 2-3 day pass that will get you free transportation and entry into the popular tourist attractions like museums, cathedrals, zoos, etc. France in the Spring and Summer time is lovely however, it’s also one of the most popular times to visit France, especially Paris. Travelling to France in the off season, you can pay a fraction of what you would normally pay. One of the biggest expenses that you can easily overlook when travelling to France, is the various fees and rates associated with the foreign currency I.e. Franc. Using cash all the time isn’t a good idea and not to mention- quite inconvenient as well. Instead, what you need is a travel card. You don’t have to pay a lot of money to see what France has to offer. Museums like the Louvre, Musée Rodin, Musée Picasso, Musée d’Orsay and others are free to the public on the first Sunday of every month. There are plenty of places to visit for free such as flower markets, parks, churches, la Seine in Paris etc. 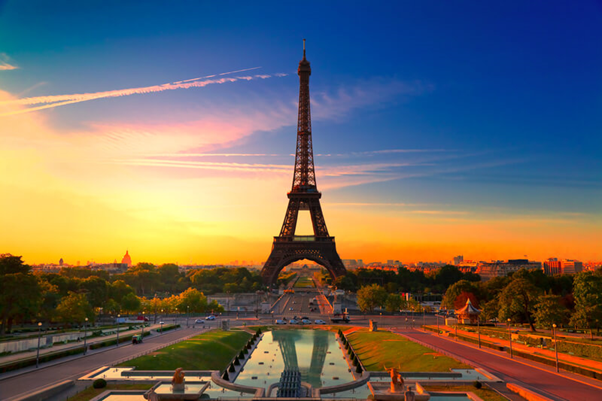 You can even visit the Eiffel tower and still be wowed by its beauty without paying the admission fee to go to the top. · You can check out the brocantes or flea markets in the cities you visit which are essentially “junk shop joy in France”. If you have the eye for it, you can find some high-quality stuff here at ridiculously low prices. · There are many shopping malls in France that offer great bargains on household goods and fashion accessories, clothing etc. that you can check out. · One of the most interesting events in the country vide greniers is a day when folks from small towns come together and set up stalls in the streets to sell all kinds of items from small furniture to decorative items. You are sure to find many amusing things at affordable rates here. Budget travelling, no matter what country, is possible if you do your research and plan carefully. Even a country like France which is known for its affluence can be enjoyed when you are low on cash. Just follow the tips above and do your research. Good luck, and have fun!